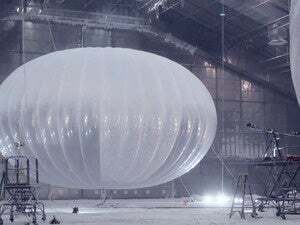 Google says its Project Loon is close to being able to produce and launch thousands of balloons to provide Internet access from the sky. 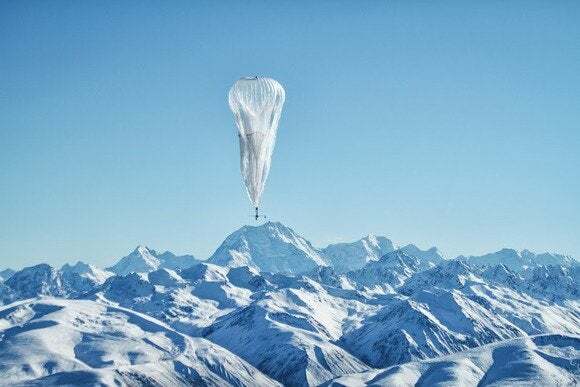 Such a number would be required to provide reliable Internet access to users in remote areas that are currently unserved by terrestrial networks, said Mike Cassidy, the Google engineer in charge of the project, in a video posted Friday. The ambitious project has been underway for a couple of years and involves beaming down LTE cellular signals to handsets on the ground from balloons thousands of feet in the air, well above the altitude that passenger jets fly. Trials are currently underway with Telstra in Australia, Telefonica in Latin America and with Vodafone in New Zealand, where the video appears to have been largely shot. Maps tracking the path of balloons over the country are seen at several points in the video. At a European conference in March, a Google executive said the balloons were staying aloft for up to 6 months at a time. At some point they do come down, and Cassidy says the company has developed a system to predict where they will land and to retrieve them. It has also worked on a reliable launching system. “In the beginning, it was all we could do to launch one balloon a day. Now with our automated crane system, we can launch dozens of balloons a day for every crane we have,” he said. Google hasn’t provided any details about what a commercial roll-out of the technology might look like. In the video, a Vodafone New Zealand representative says that Loon “allows cell phone companies and Internet companies to provide Internet to communities that don’t have it”—an indication that the Loon service will be offered through existing commercial providers rather than direct from Google. “Anyone with a smartphone anywhere in the world will be able to get Internet access,” said Cassidy. He added the balloons have also flown in arctic and tropical regions. “We’re getting close to the point when we can bring the Internet to people around the world,” he said.